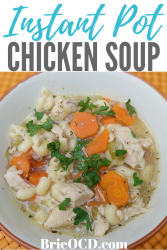 Who doesn’t love chicken noodle soup?? It’s a classic, it’s what most people think of when you say the word Grandma. I made this twice in one week and think its pretty darn tasty. This recipe was inspired by Crunchy Creamy Sweet but per usual I switched up the timing, instructions, some ingredients and measurements to make this baby more my style and of course protein packed! If you are gluten-free, no worries! Just use a gluten-free pasta! They sell it at all the local markets or you can click to view/buy here! 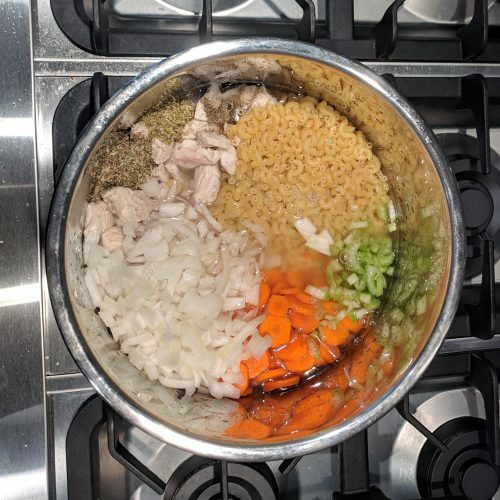 I made this soup in the Instant Pot, however you can make it on the stove top. Follow steps 1 & 2 below and then add all ingredients (excluding pasta) to a large soup pot. 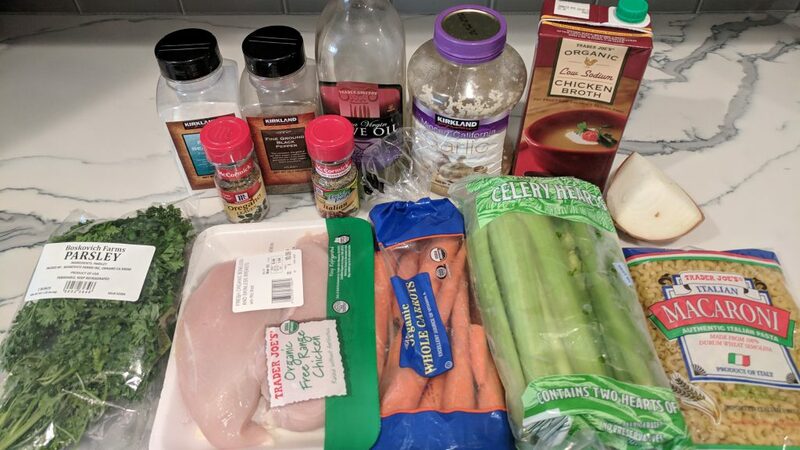 Cook until the vegetables are tender and chicken is no longer pink. Add in pasta about 7 minutes before you are ready to eat. Top with parsley & Parmesan cheese and voila! 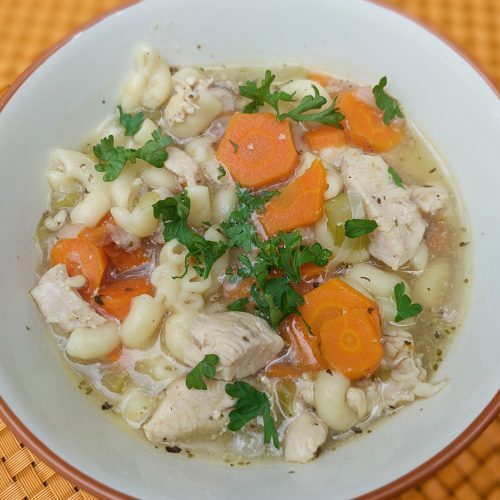 You can also make this in the crock-pot! Follow steps 1 & 2 below and throw everything into the crock-pot excluding the pasta, parsley and Parmesan. Set on low for 7 hours or high for 3-4hrs (carrots should be tender). With 30 minutes left on the timer add in pasta and stir. Top with parsley & Parmesan cheese and voila! This is super easy and perfect now that the weather is getting colder. Hope you enjoy! 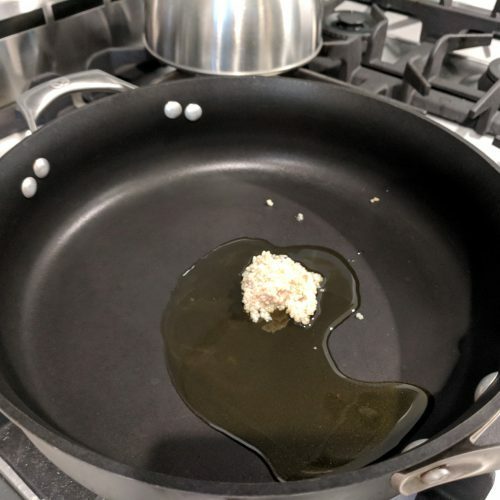 in a saute pan, over medium-high heat, heat olive oil for 30 seconds. Add garlic and heat for another 30 seconds. 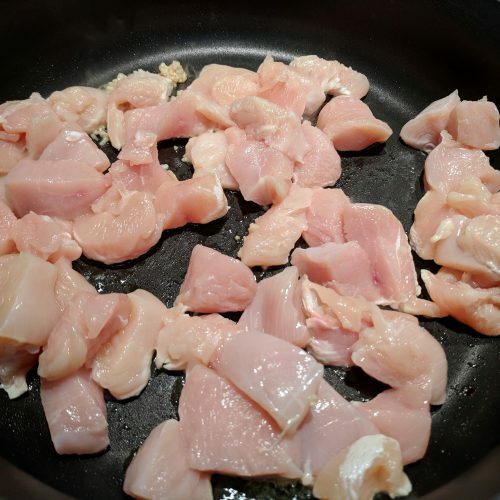 add cubed chicken and 1/4 tsp of salt and 1/4 tsp pepper and saute for approximately 3 minutes, stirring occasionally. drain. 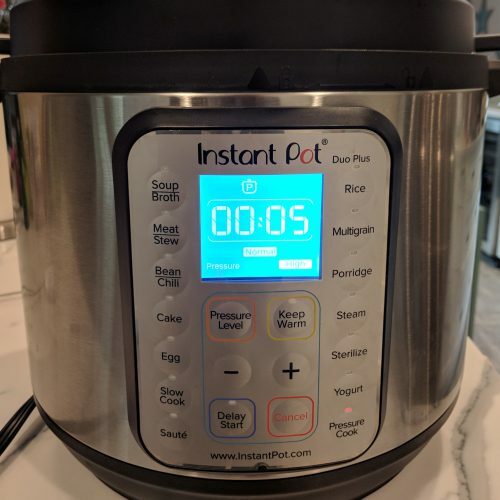 add all ingredients (excluding toppings) to the instant pot and stir. (make sure pasta is covered by liquid). Carefully open lid and stir. Top with parsley, parmesan cheese and enjoy!